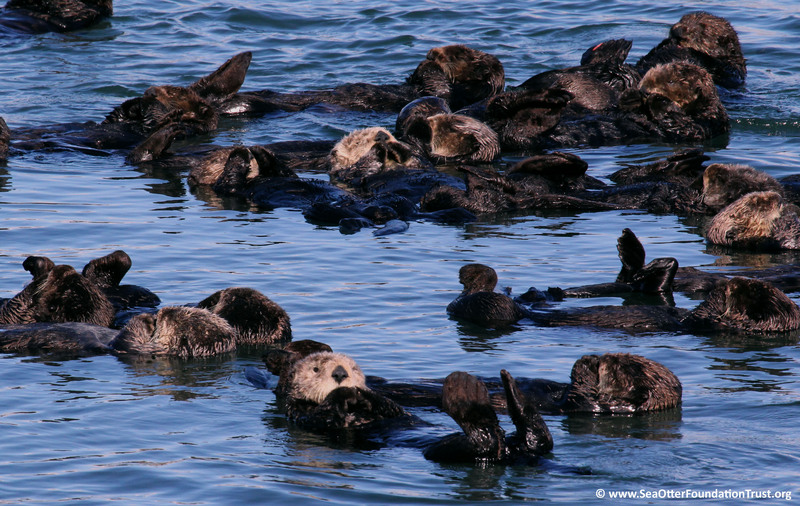 Sea otters float in what we call rafts. These rafts are usually gender-based, meaning boy sea otters like to hang out together and girl sea otters like to hang out together. Females raise their pups without assistance from males. 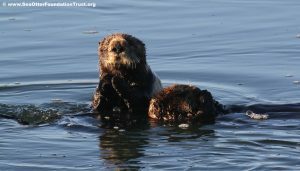 Sea otter pups are born with a buoyant fur that does not allow them to sink. They float like corks on top of the water unable to dive and therefore, are completely dependent on the mother sea otter. Sea otter pup fur is known as a lanugo. A lanugo is a very soft, downy hair that develops in humans as well as animals. Sea otter pup fur is shed by the time they are approximately 13 weeks old. Sea otter pups are born with 26 baby teeth; 10 of which are visible. 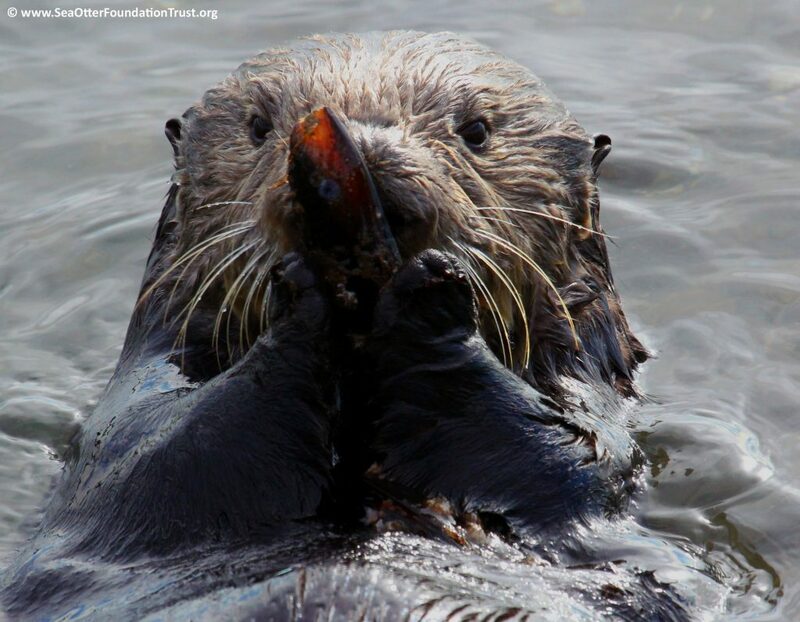 Sea otters eat frequently throughout the day. Unlike other marine mammals, sea otters have no blubber, so they must consume 25-30% of their body weight every day in order to survive in their cold Pacific Ocean habitat.